In the early 1990s, Arizona was not using all the water it was legally due from the Colorado River. Instead, much of Arizona's unused water flowed down the Colorado River to California. Here's why: Under the law that governs the Colorado River, the Secretary of the U.S. Department of Interior can give water not used by one state to other states. As a result, each year California was the beneficiary of at least some of Arizona's unused water. At the time, there were also concerns that Nevada would soon eye Arizona’s unused allotment. 1. Underground Storage Facilities: With help from CAP, the Water Bank delivers Colorado River water to one of many underground storage facilities in central and southern Arizona. CAP, cities and other water agencies operate these storage facilities. These water storage sites consist of large constructed ponds called recharge basins. These basins are designed to allow the water to easily percolate into the ground. The water enters the natural aquifer where it is available to be pumped up through wells and delivered to customers affected by a shortage of Colorado River water. 2. Groundwater Savings Facilities: These facilities work as a water exchange. In this case, Colorado River water is delivered to participating agricultural lands and used to irrigate crops. Participating farms or irrigation districts that receive river water agree not to pump an equal amount of water from the aquifer, thereby “saving” water underground. In the event of a Colorado River shortage, the water that was saved in the aquifer would be pumped or “recovered” and delivered to customers, such as cities, to help make up for shortages. In recent years, CAP has had less unused or “excess” water. This is because municipal, tribal and agricultural users have been using more and more of their CAP water allocations. As a result the Water Bank has less unused water to store from the “excess pool.” When there was more excess water, the Water Bank stored an average of 250,000 acre-feet of water a year. In the last two years, that number has dropped to an average of 65,000 acre-feet. There is currently a 56 percent chance the Secretary of the U.S. Department of Interior will declare a shortage of Colorado River water as early as 2018. Under the law that governs the Colorado River, the Secretary declares shortages based on the water levels in Lake Mead, the giant reservoir that sits behind Hoover Dam on the Colorado River at the Arizona-Nevada border. A 16-year drought has driven Lake Mead to its lowest level since the dam was completed in 1936. A possible 2018 shortage declaration would not affect the water supplies for cities, but would impact agricultural users and the Colorado River “excess pool” from which the Water Bank draws its water. The Water Bank has allowed Arizona to take all of its water off of the River and store it for a “dry” day. The 3.4 million acre-feet of water stored by the Water Bank is a key component of Arizona’s preparations for eventual shortage. As part of these efforts, it is important that the Water Bank, CAP, and water users develop a comprehensive plan for how the stored water can be recovered to help cities if a shortage declaration impacts their water supplies. 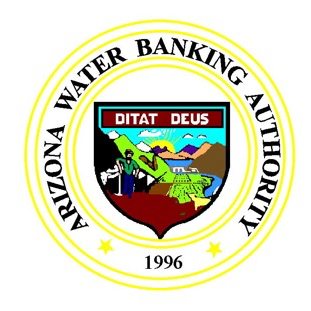 The creation and operation of the Arizona Water Banking Authority is just one more example of how Arizona has led the way in water investment and innovation. This legacy continues to drive the water community as we tackle the challenge of looming shortages on the Colorado River.